The month of May is the water enthusiast’s season of celebration. 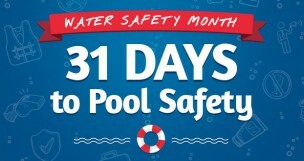 Memorial Day is traditionally “opening day” for most pools, so it’s fitting that May is Water Safety Month. The days of summer are so special, especially for kids. And pool safety is where Protect-A-Child comes in. Don Coppedge founded Protect-A-Child more than 30 years ago with a mission of providing top-quality pool safety products to families. In observation of #WaterSafetyMonth, we want to focus on providing the most important water and pool safety information available. Whether you’re a new parent, grandparent, mom, dad or babysitter this information is worth the read. In fact, it’s a great review for all. Download Our Print-Friendly Pool Safety Calendar! 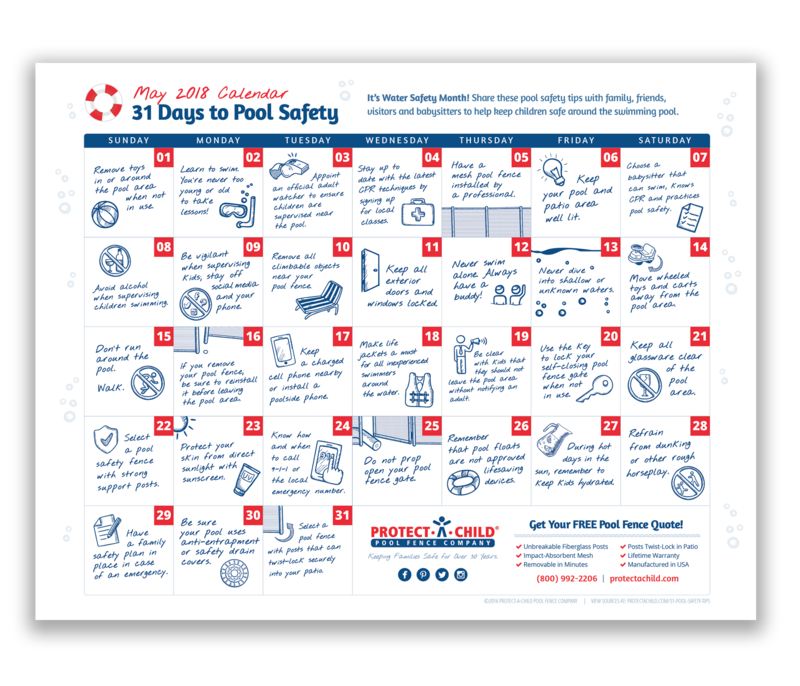 This calendar makes for a great way to display all 31 of these important pool safety tips to your family, visitors and babysitters. Remove toys in or around the pool area when not in use. Learn to swim. You’re never too young or old to take lessons! 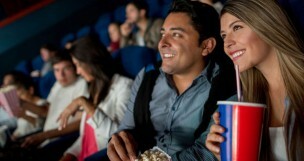 Appoint an official adult watcher to ensure children are supervised near the pool. Stay up to date with the latest CPR techniques by signing up for local classes. Have a mesh pool fence installed by a trained professional. Keep your pool and patio area well lit. Choose a babysitter that can swim, knows CPR and practices pool safety. Avoid alcohol when supervising children swimming. Be vigilant when supervising kids; stay off social media and your phone. Remove climbable objects near your pool fence. Keep exterior doors and windows locked. Never swim alone. Always have a buddy! Move wheeled toys and carts away from the pool area. Don’t run around the pool. Walk. Keep a charged cell phone nearby or install a poolside phone. If you remove your pool fence, be sure to reinstall it before leaving the pool area. Make life jackets a must for all inexperienced swimmers around the water. Be clear with kids that they should not leave the pool area without notifying an adult. Use the key to lock your self-closing pool fence gate when not in use. Keep all glassware clear of the pool area. Select a pool fence with strong fence posts. Protect your skin from direct sunlight with sunscreen. Do not prop open your pool fence gate. Remember that pool floats are not approved lifesaving devices. Refrain from dunking or other rough horseplay. Have a family safety plan in place in case of an emergency. Be sure your pool uses anti-entrapment or safety drain covers. Know someone who could benefit from this information? 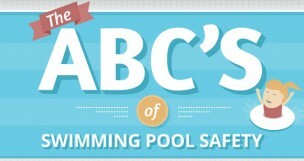 Share our pool safety infographic on Facebook, Pinterest and/or Twitter.Looking for a pool fence to secure your pool? We can help!